Home » Fight or Flight » Sunday Bloody Sunday: Start your October off with some extra GRAVY. GRAVY is the feature film directorial debut of James Roday (Psych) and written by Roday and Todd Harthan (Psych, Dominion) starring an an all-star ensemble cast that includes: Michael Weston(State of Play, Garden State), Jimmi Simpson(House of Cards, White House Down), Sutton Foster(Younger, Bunheads), Lily Cole(Snow White and the Huntsman), Molly Ephraim (Last Man Standing), Paul Rodriguez (Ali), Gabriel Luna (True Detective, Wicked City), Lothaire Bluteau (Vikings, The Tudor), Ethan Sandler (The Bourne Supremacy, Crossing Jordan), Dule Hill(Ballers, Psych), with Gabourey Sidibe (Empire, Precious) and Sarah Silverman(Wreck-It Ralph). This is a splatter fest from the very beginning. 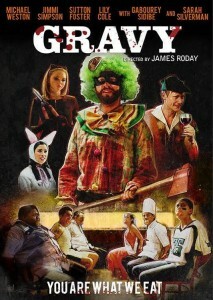 Funny and tailor made for the both the film buff and the genre lover, Gravy is great. Sutton Foster makes an unexpected horror hero and Jimmi Simpson, who never disappoints, slays as one of our psychopaths brothers. Ever funny Michael Weston makes being bad a good thing and Miss Gaboury Sidibe’s portrayal of the restaurant’s in-house security is to die for. Pun most definitely intended. Roday’s writing is witty and biting. 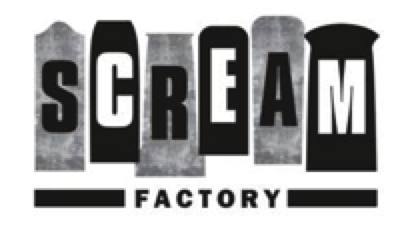 Racist, creative and completely unapologetic, go in with an open mind and get ready to laugh and cringe. Gravy is some delicious fun in the run up to Halloween. With high value practical effects, an 80’s soundtrack, and a fondness for Kevin Bacon history, fans will be nothing but pleased with the whole package.